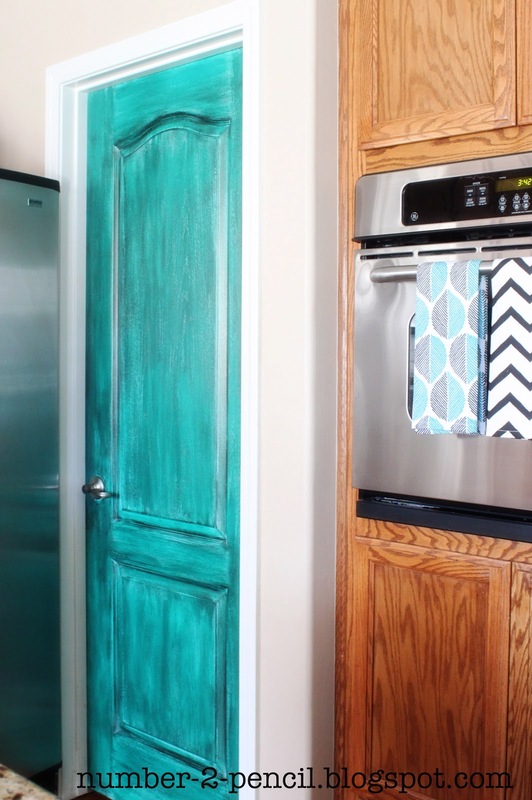 Today, I grabbed a few pics of the turquoise pantry door I painted at my sister’s house. I painted this right before I started the blog, so I just have the after pics. But just go ahead and imagine it as just a plain white door, ok? Actually, we initially painted it aqua, which was very pretty. 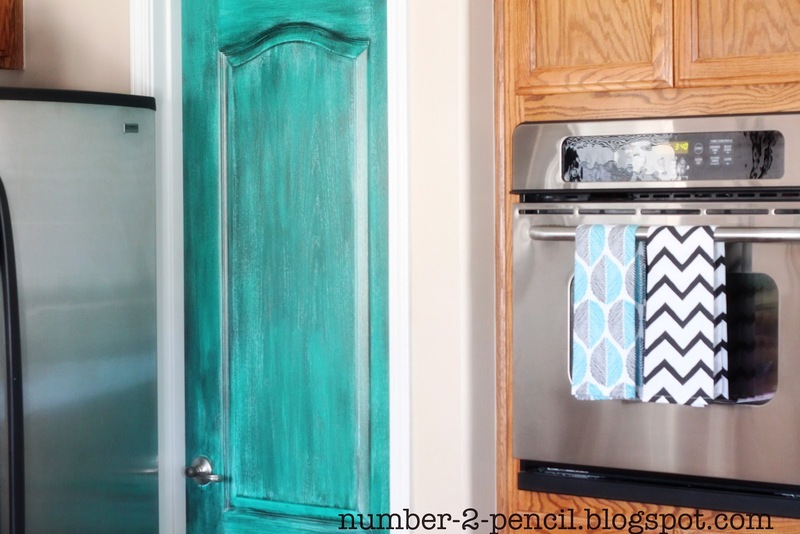 But my sister really loved the color I used on the chippy turquoise dresser makeover, so I offered to bring my supplies over and get to work! 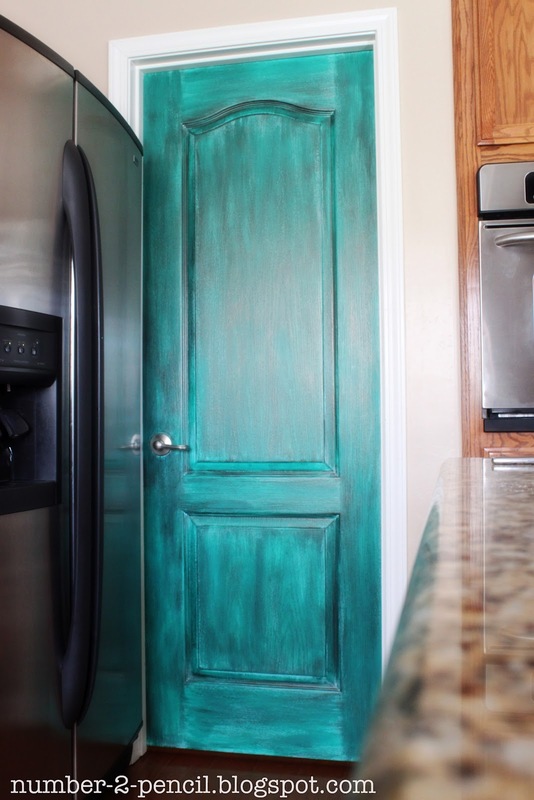 I dry brushed on two coats of Behr Aqua Waters, then lightly sanded so the aqua was coming through just a little. Then, I applied the Martha Stewart Black Coffee glaze with a heavy hand. I brushed the glaze on, then wiped it with a damp cloth until my sis and I liked the results! This is a super quick and easy project, and it brings a ton of color and personality into the space. My sister Sarah and I are design partner’s in crime, so I’ll be sharing projects we tackle at her house too! 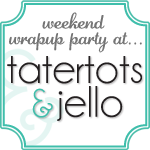 Linking up with some of my faves! Love the color!! It would make me smile seeing that everyday!! it’s daring, but she should do all her cabinets like this!! looks awesome! Ohhhh! That would be awesome! Oh I really love it !!! Make me think of the one I made in my own home, which is much darker but quite similar. I keep the idea of yours for my bathroom, I love its color. I now wanna see all your blog,even your recipies which seams so yum… I think I go to repin a lot of good ideas ! thanks a lot for sharing.